How Do Credit Cards Impact Your Credit Score? Credit cards certainly affect your credit score and the way you use them determines whether the impact is a positive or negative one. 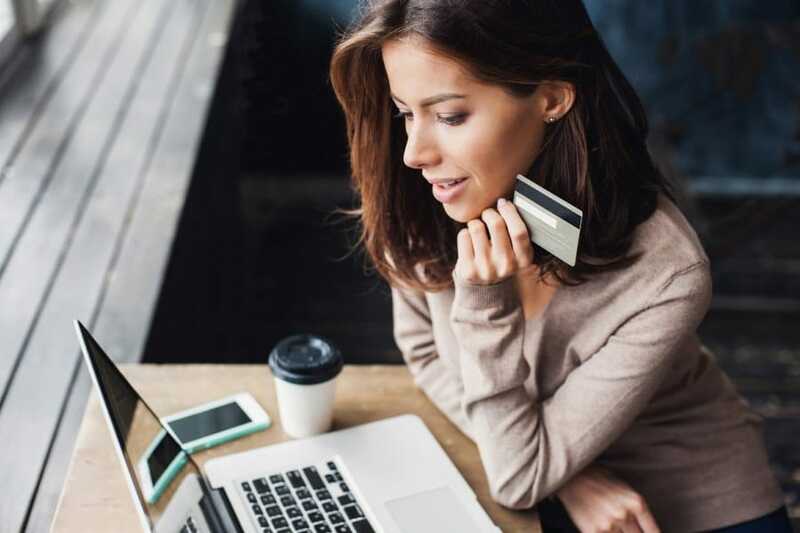 Simply having a credit card in your name helps you build a credit history, which can help you qualify for other types of financing later down the road. But your payments, balances, and even your credit card applications also impact your credit score. Here’s a step by step look at how credit cards impact your credit for better and for worse. 1 Can applying for credit cards hurt your credit? 2 How does your credit card utilization affect your credit score? 3 How much money should you leave on your credit card? 4 Do minimum payments hurt your credit? 5 Do late payments affect my credit score? 6 Should you close old credit cards? Can applying for credit cards hurt your credit? Credit cards can impact your credit score before you even start charging up a balance; in reality, the effect begins before you’re even approved. Every time you apply for a credit card (or just about any type of financing, for that matter), an inquiry is logged onto your credit report. This affects your credit in two ways. First, your score will drop between 5 and 10 points for the next year. Second, lenders can see inquiries for a total of two years after they’ve occurred. If you have tons of credit card inquiries, regardless of whether you’ve been approved or not, it may look like you’re desperate for money. Plus, if they’re recent, a lender may not be sure whether you’ve opened the credit card or not since it takes time for accounts (and charges) to show up on your credit report. How does your credit card utilization affect your credit score? Credit card utilization refers to the percentage of your credit limit you have charged on each of your cards. It’s one of the most important areas to pay attention to because it comprises 30% of your FICO score. So what’s the bottom line when it comes to credit card utilization? The more you owe on your credit cards, the lower your score drops. That’s because you’re considered riskier if you’re constantly nearing your credit limits. Make sure you know how much your limits are on each card so you’re not overburdening one account. You can always spread out your purchases on multiple cards so that you don’t near the limit on any one credit card. As with many types of financial behavior, just a small shift can have a large effect. Keep this in mind with your credit spending habits and you’re likely to notice a positive change in your credit score. How much money should you leave on your credit card? Now that you know the way credit utilization affects your credit, you’re probably wondering the specifics of how to manage each card. The general rule of thumb is that each card balance should be under 30% of your overall limit. If you have a credit card with a spending limit of $8,000 then 30% of your limit is $2,400. Try to keep your balance under that amount on a consistent basis. In fact, that concept leads us to another consideration when it comes to how much money you should leave on your credit card. The credit bureaus also monitor and record your highest balance, even if you pay it all off right away. So you also need to be aware of how much you spend in one a single statement period because lenders can see how much you charge at once, no matter what kind of payments you make. If you’re over 30% of your credit limit, you should obviously consider paying it down as soon as possible. Not only can you save money in interest, but you can also help your credit score. But an easy way to get around it is to ask your credit card company for a credit limit extension. You may qualify for one if you’re a long-time customer with a strong payment history. Potentially, you could even get an automatic limit extension if you pay off a large chunk of your balance. Do minimum payments hurt your credit? As long as you’re making the minimum payment on time, you’re building a positive payment history. That’s incredibly important in growing your credit score. Depending on your overall balance, however, only paying the minimum has the potential to throw off your credit utilization ratio. It’s all a numbers game, so get out the calculator and see what your percentages look like. Late payments on your credit cards unequivocally damage your credit scores. In fact, your payment history has a 35% impact on your credit score, the largest of all influences. It is helpful, however, to understand how the reporting process works. If you’re a day late paying your credit card statement, you’re likely to incur an extra fee. The credit card company, however, probably won’t report it to the credit bureaus until you’re a full 30 days late. So the effect is really determined by how late your payment actually is. That being said, once your late payment hits the 30-day mark, your score will take a big hit. It then goes down again if the payment reaches 60, 90 and 120 days late. That’s right, your credit score drops for each of those milestones you reach. So you can understand why it’s so important to keep on top of your card payments, even if it is just the minimum. Should you close old credit cards? The older your credit card account is, the better your credit score becomes. So in most cases, it’s unwise to close your old credit cards because that length of credit history is 10% of your overall credit score. Even if you don’t use an older card because it lacks the rewards of one of your new accounts, you can still put a small charge on it once in a while and pay off the balance immediately. Additionally, you could consider asking for an account upgrade to get a better rate or rewards program. In most cases, the account age remains the same if you stick with the same credit card company, just ask to be sure. The exception to keeping a credit card account open just because of its age is if you’re paying an annual fee. If there aren’t any other benefits that outweigh the cost of the fee, it’s time to close the card. Credit cards certainly do have an impact on your credit scores. But when used correctly, you can make sure that impact is a positive one, setting yourself up for a stronger financial future.